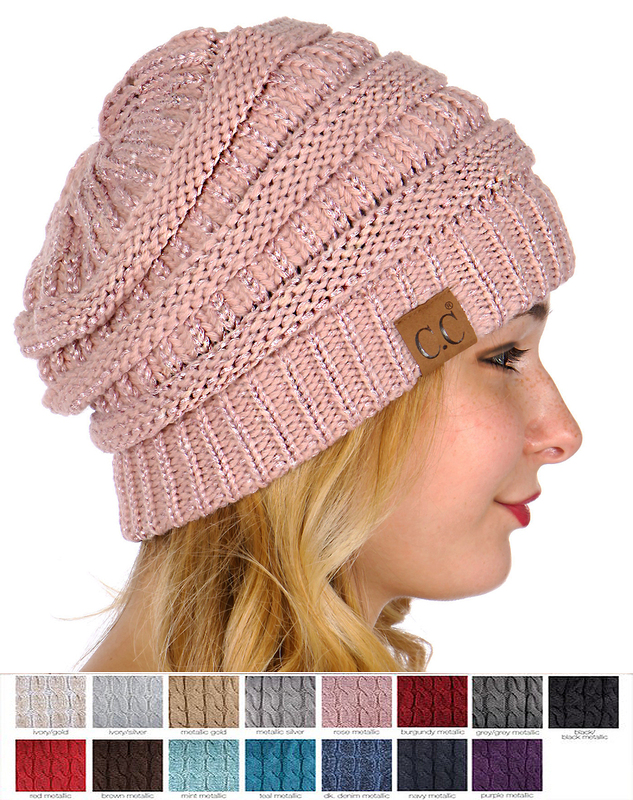 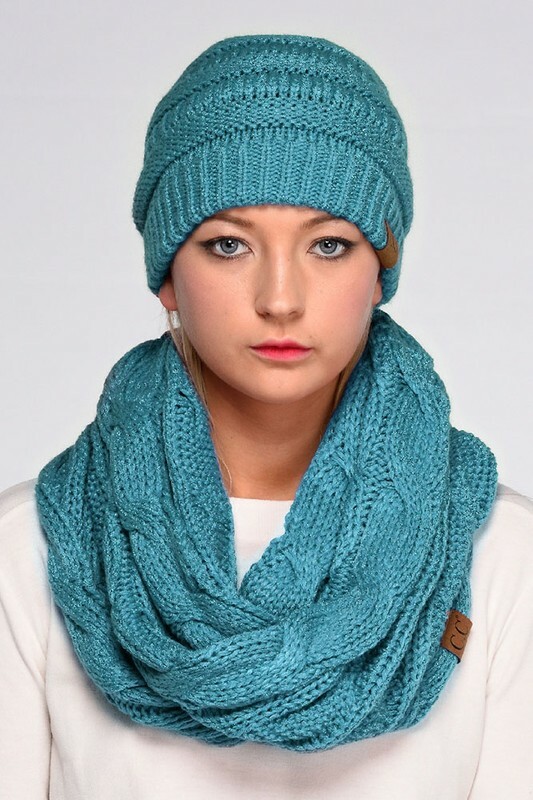 Warm knit beanie hats in soft and stylish yarn from CC brand in newest metallic colors for 2019! 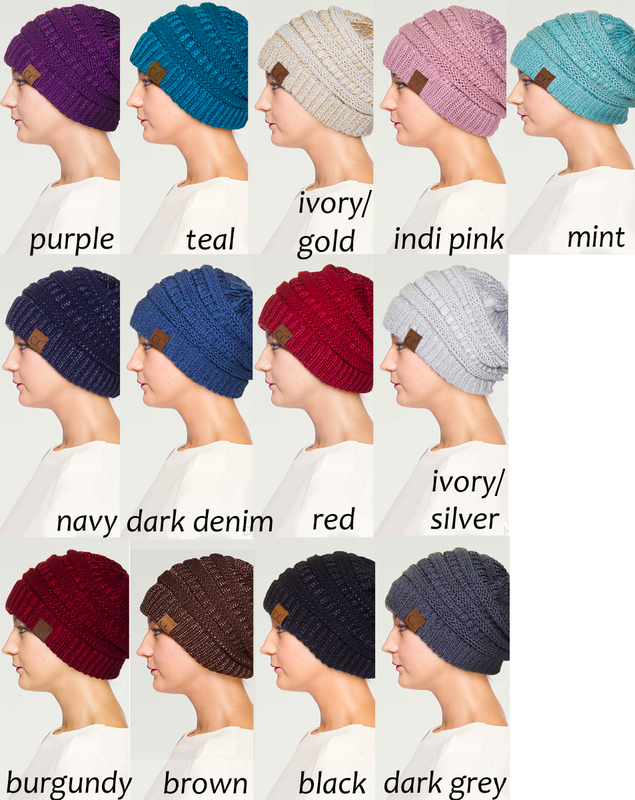 These high quality acrylic knit beanie hats are knitted in your favorite CC brand colors, only with addition of perfectly coordinated metallic Lurex and come in fabulous array of colors. 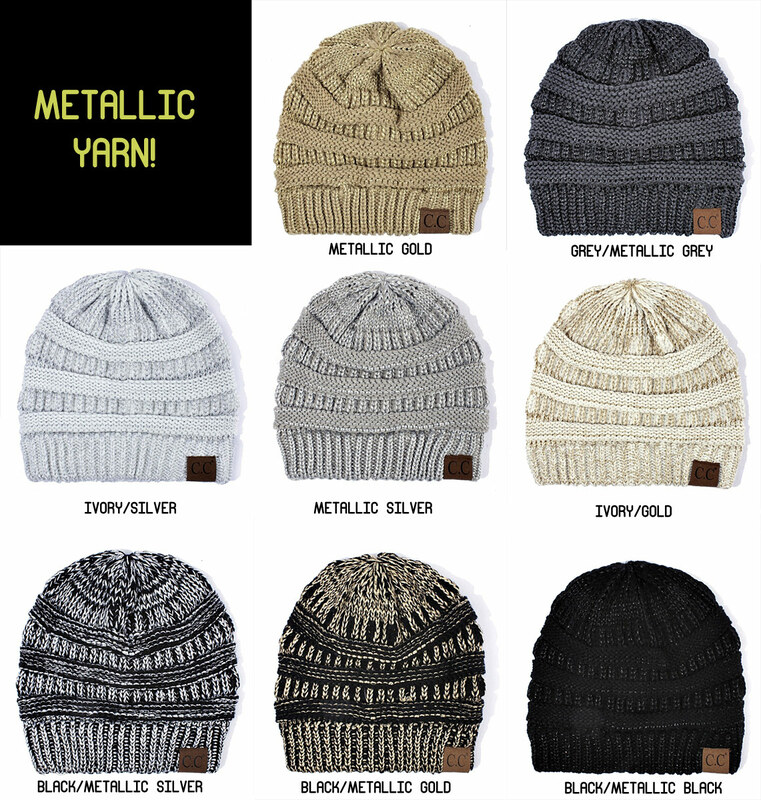 We carry matching Scarf and Gloves in metallic yarn. 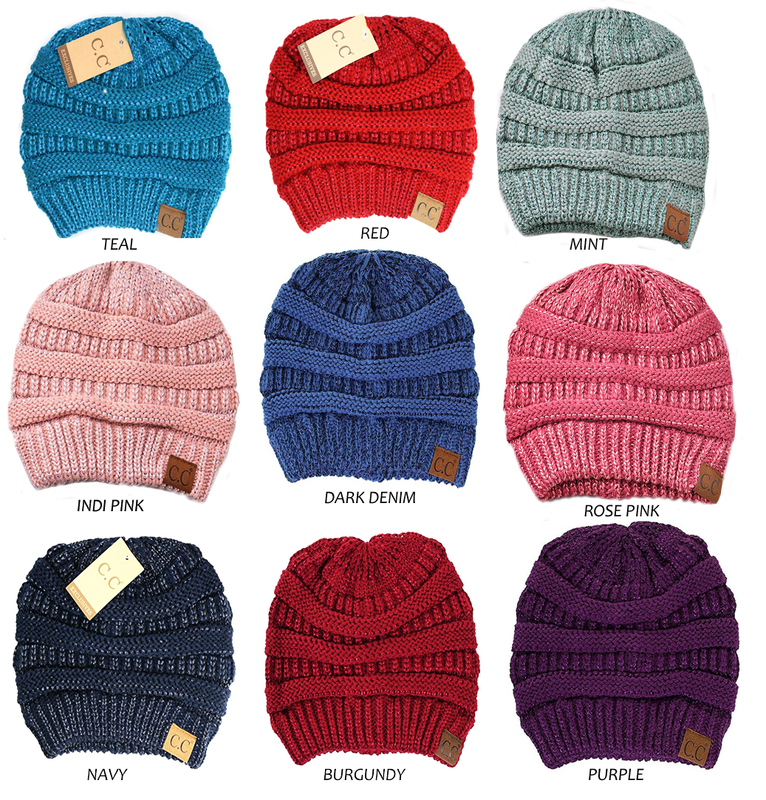 Not sure which is your favorite color? 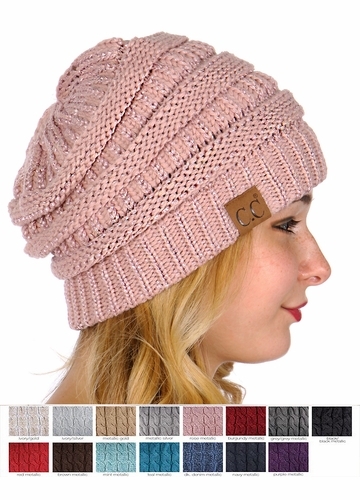 Check out our CC Hats by Color section which features this style in every color in detailed pictures.